Filipino fireball Jerwin "Pretty Boy" Ancajas will make his U.S. debut, Saturday, February 3, at the American Bank Center in Corpus Christi, TX. A protégé of Filipino icon Manny "Pacman" Pacquiao, and promoted by Top Rank, MP Promotions and Joven Sports, Ancajas (26-1-1, 18 KOs), of Cavite City, Cavite, Philippines, will be making the fourth defense of his IBF junior bantamweight world title against Top-10 contender Israel Gonzalez (20-1, 8 KOs), of Cabo San Lucas, México. The Ancajas - Gonzalez world championship fight will be the co-main event to the Gilberto "Zurdo" Ramirez vs. Habib "Wild Hurricane" Ahmed WBO super middleweight world title rumble. Both fights will be televised live and exclusively at 10:15 p.m. EST on ESPN and ESPN Deportes and stream live on the ESPN App. 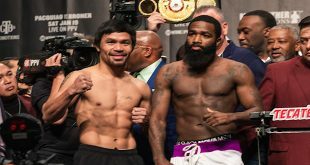 "I have had the opportunity to be ringside for Jerwin's fights in Australia and in Macau and I see a lot of similarities to his co-promoter Manny Pacquiao," said Hall of Fame promoter Bob Arum. "Jerwin has a killer instinct inside the ring and he is a great finisher. Just look at his record. Jerwin has only gone the distance once in his last 14 fights!" “Jerwin Ancajas, the IBF junior bantamweight world champion and MP Promotions’ first world title holder, is an exciting fighter who has not reached his full potential,” said Pacquiao. “I am pleased to announce that we will have the opportunity to get worldwide exposure through his upcoming fights being televised on ESPN, with the help of the legendary Bob Arum and Top Rank. "I am thrilled to have Mr. Arum and Top Rank promoting my career in the United States. As a Filipino boxer there is no higher honor than to have Mr. Arum and Top Rank Boxing promoting you," said Ancajas. "I also want to thank MP promotions and Joven Sports for helping get me to this point in my career and I look forward to following in the footsteps of my Idol and promoter Manny Pacquiao. I want to be a champion for a long time." "We at Joven Sports are thrilled to be signing with Mr. Arum and Top Rank boxing. There was only one choice when we decided to go with a promoter in the United States," said Joven Jimenez, president of Joven Sports and Ancajas' co-promoter and trainer. "Mr. Arum has done so much for Filipino boxing over the years. We are honored to be promoted by him . 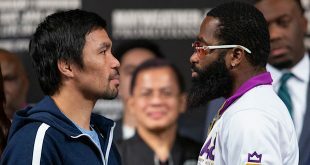 Also I want to thank co-promoter Manny Pacquiao and MP Promotions for all they have done and we hope to have the tremendous success that our promoter Manny has had in boxing." Ancajas captured the IBF junior bantamweight world title last year, dethroning defending undefeated champion McJoe Arroyo via a dominate 12-round unanimous decision. It was the only fight Ancajas has gone the distance in his last 14 bouts dating back to 2012. He has successfully defended the title three times -- all in 2017 and all by stoppage -- against Jose Rodriguez (32-4) in Macau; Teiru Kinoshita (25-1-1) in Brisbane, Australia, under the Manny Pacquiao vs. Jeff Horn world title fight; and on November 18, Jamie Conlan (19-0), in Conlan's native Belfast. Gonzalez returns to the ring riding an eight-bout winning streak with five of those victories coming by way of knockout. The former WBC Fecombox super flyweight champion is currently world rated No. 9 by the IBF. 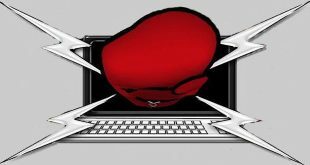 Promoted by Top Rank, in association with Zapari Boxing Promotions, remaining tickets to the Ramírez - Ahmed / Ancajas - Gonzalez world championship doubleheader event are priced at $152, $102, $62, $42, and $27, including facility fees -- the perfect fistivus holiday gift for your favorite boxing fan! They may be purchased online at Ticketmaster.com, at the American Bank Center Box Office, Monday - Friday, 10 a.m. to 6 p.m. CT, or charge by phone at 1-800-745-3000.